In December 2018, SBS received the news that it has been shortlisted for the Project of the Year category in the 2019 Building Communities Awards. Run each year by Efficiency East Midlands, the Awards recognise professionalism, excellence and innovation in the construction and housing sectors. They are open to entrants from both the public and private sectors. SBS has previously won awards for Innovation, the Project of the Year and Contractor of the Year. This year's submission was based on its work on an external wall insulation scheme delivered on behalf of Broxtowe Borough Council. 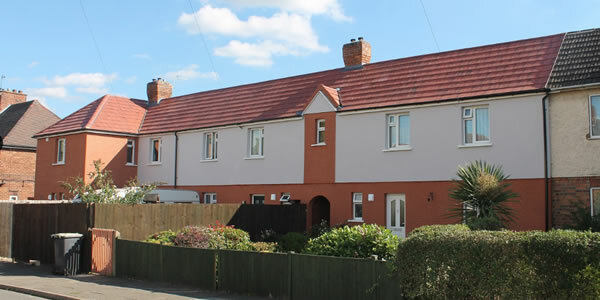 Here, SBS installed a PermaRock system with an architecturally-sympathetic brick-effect render. The client expected to commission the work in two phases over two financial years, but by identifying efficiency savings and late-stage ECO2 funding, SBS developed a programme that enabled all 233 properties to be treated in a single phase. Consequently, many more homes have benefited from insulation improvements in readiness for the winter months. The work itself has benefited from a strict multi-agency focus on quality, resulting in zero defects, zero reportable H&S incidents and a 100% handover success rate. Every installation is also backed by a 25 year SWIGA guarantee. SBS is servicing the scheme from locally established depots and offices. As a result, it has generated new employment opportunities and supported an already extensive local supply chain network. 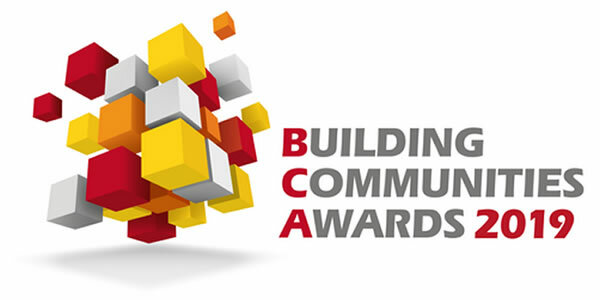 The Building Communities Awards evening will be held on 15th February at the Athena in Leicester.